RUSH: Jean Marie in Charlotte, North Carolina. You’re first, and it’s great to have you on the program today. Hi. CALLER: Well, it’s even greater to talk to you. I’m just so stunned that I even got on. Rush, I wanted to speak to you about your monologue, because I identified so much with your sadness about the state of affairs right now. And I thought, well, you know what, there’s one kind of factor that equalizes everything, and I think you’re right when you said it’s gonna bottom out at some point. And I think the economy is really gonna force a lot of this Facebook, Twitter, Delta, all these positions that people take and corporations take. When the economy will make sure that it’s a fair factor. You know, people spend their money naturally, especially the middle class. RUSH: Wait a second. Do you know how many passengers actually took advantage of Delta’s NRA discount program that they canceled? Thirteen, maybe 14 max passengers. That’s the maximum number. They canceled an entire policy, discount policy for the NRA after only 14 NRA members ever used it. CALLER: Rush, I think the economy is gonna be the great equalizer, and I don’t think they’ll be able to fight it, because Hollywood, the ratings, everything, their movie participation, the numbers just aren’t there to support their positions. RUSH: What do you mean? Support which positions? 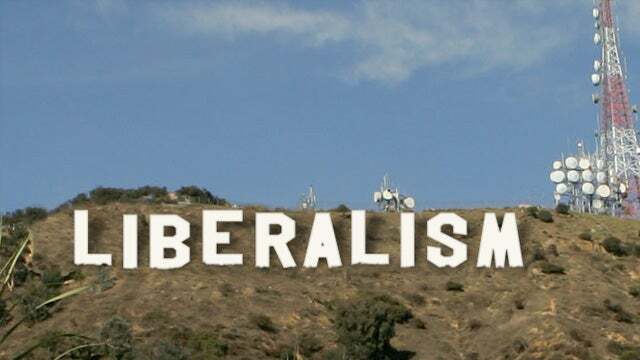 CALLER: The liberal positions of Hollywood. You tied it up in a bow when you said that Hollywood likes to make movies to irritate Mike Pence, not to make money. I mean, how long are they gonna be able to do this? RUSH: Well, look, they’ve been doing it for as long as I’ve been alive. Well, maybe not that long, but they’ve been doing it a long time. They’re called loss leaders. They’ll make a family oriented movie and a Star Wars and make gazillions so they can lose money making the stuff they really want to make. RUSH: This movie that won the Best Picture, The Shape of Water, the only review about The Shape of Water you need to know is Rex Reed, and he hated it. He thought it was just absolute disaster. I didn’t see it. All I’ve done is read about it, and let me tell you what The Shape of Water basically has as its point… This is not detailed. I really shouldn’t even comment because I don’t know enough about it and I haven’t seen it. But it’s about a lab experiment in the 1960s that goes wrong and turns some guy into a fish — aquamarine figure, being, creature, whatever. It looks human with scales and has to live in the water, and one of the lab technicians, a woman, falls in love with him ’cause he’s so much more sensitive than the average guy. She falls in love with a scaly man-like sea creature, and it wins the best picture. Now, for those of you who’ve seen it and liked it, forgive me. As I say, I really shouldn’t be commenting on it. Everything I just said to you is something I have read about it. I’ve seen a photo of the fish-like creature in his tank with the woman looking longingly at him and their hands are touching there through the glass. I mean, in an era where commenting on how Oscar is penisless is an advancement… (interruption) Merman, yeah. Merman. Scaly merman. I mean, any woman that would fall in love with this guy has gotta be deranged. Just goes to show what I’ve always said about that, which I don’t need to real-time now.